British Columbia’s foreign-homebuyer tax for Metro Vancouver was no panacea for massive price gains in the red-hot housing market, experts suggest. “If it was damaging to begin with we would see significant drops in the prices of these homes,” Aaron Chen, president of local brokerage AISA Real Estate Services, tells BuzzBuzzNews. “What it really did was to cause a lot of investors or homebuyers to step on the sideline, to see if the prices come down or not,” he adds. 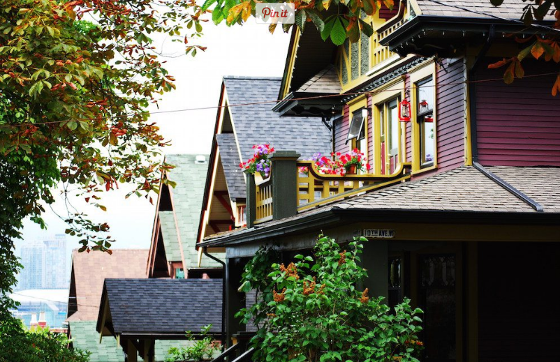 Last year in July, Greater Vancouver home prices saw a 30-plus per cent year-over-year increase compared to 2015. But when the tax was introduced in early August 2016, monthly price gains began waning, suggesting the tax was having a cooling effect on the market, at the time Canada’s hottest. In fact, according to BMO Economics prices declined 4 per cent from their peak in the five months following the levy’s introduction, which came by way of a surprise announcement from the provincial government. Commenting on Ontario’s recently implemented foreign-homebuyer tax, BMO Senior Economist Robert Kavcic addressed the limited effects of BC’s measure. “While peak price growth might be behind us, the question is how much the market will cool from the unsustainable [30-per-cent-plus] pace, and how long will the adjustment persist?” Kavcic asks. “If Vancouver is any guide, the answers appear to be somewhat and not too long, at least while interest rates are pegged at current levels,” writes Kavcic, answering his own query. From January to April 2017, the benchmark price of a home in Metro Vancouver increased five percent to $941,000, says the Real Estate Board of Greater Vancouver (REBGV), showing resilience in the tax’s wake. Part of that has to do with Vancouver’s global appeal, Chen says. Vancouver is considered a desirable city by many beyond Canada’s borders, so the AISA president suggests the foreign-buyer tax won’t deter overseas buyers from entering the market. “In short, Vancouver is in high demand for the affluent, and when comparing prices from where they come from they feel, even at the prices today, it still seems like a bargain to them,” says Chen. Last month, Greater Vancouver saw a 25.7 per cent decline in sales compared to April 2016 but sales were still running 4.8 per cent above the 10-year average for the month, says REBGV. With continued demand striking the market, Chen says sales and home prices are predicted to continue on the upswing looking ahead. “You will see more transaction volumes for sure and prices are definitely creeping up as we speak,” says Chen. “It may not move as fast as we had in the last three years but we’re very bullish with regards to the Vancouver market going forward,” he adds. As demand rages on, supply levels on the resale side of the market are dwindling. In April, Metro Vancouver had a total of 4,907 new listings, a decline of about 20 per cent from the same month last year, according to REBGV. And with developers facing higher land costs in the area, Chen says costs are being passed down to homebuyers. “The development site prices continue to rise like there’s no tomorrow, therefore driving up the cost to develop these sites. So as an end result they won’t be able to sell it for cheap,” says Chen. “And developers are [building] because they sense the demand. That’s why they are willing to buy land at unprecedented prices continuously year after year in the City of Vancouver,” Chen adds. While the Vancouver market bounced back, Chen still doubts the rate of growth moving forward will match last year’s record-breaking performance. “Assuming the political positions don’t change I don’t think we’re going to see what we’ve witnessed last year moving onwards,” says Chen.